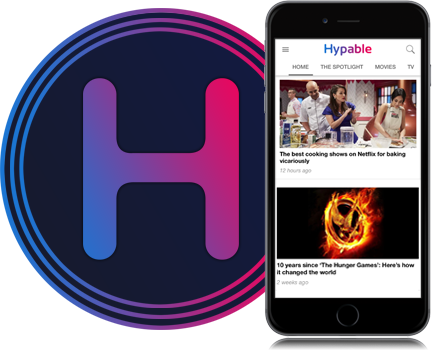 It’s no secret that we love a little bit of romance over here on Hypable — from Hallmark, to books, and everything in between. But you could be missing out on some great TV series on Netflix. I fell into watching Asian dramas right around the same time K-Pop stole my heart. I was in my first year at university — a time that was, for many reasons, incredibly difficult — and looking for an escape. There was something about Asian dramas that felt a little bit refreshing. Yes, some of them could be a little over the top and silly, but equally they’re heartfelt and brimming with joy. So, in the interests of spreading the Asian drama love a little bit further, I thought I’d give a quick entry point for any newcomers, with five of my favorite series currently available on Netflix. I’ll admit, Love O2O becoming available on Netflix is singlehandedly what inspired me to write this article. Love O2O isn’t just one of my all-time favorite Asian dramas, but also one of my go-to series whenever I need a pick-me-up. Love O2O follows Bei Weiwei, an aspiring game developer, who excels in both her studies and as her avatar in the online game A Chinese Ghost Story. When her in-game “husband” leaves her for another woman, Weiwei is suddenly approached by the game’s number one player: Yixiao Naihe. Naihe suggests that they pair up, in order to enter a competition exclusively for couples, and the two immediately hit it off. While Love O2O might just edge out the win for my favorite Asian drama, Strong Girl Bong-soon takes a very, very close second place. 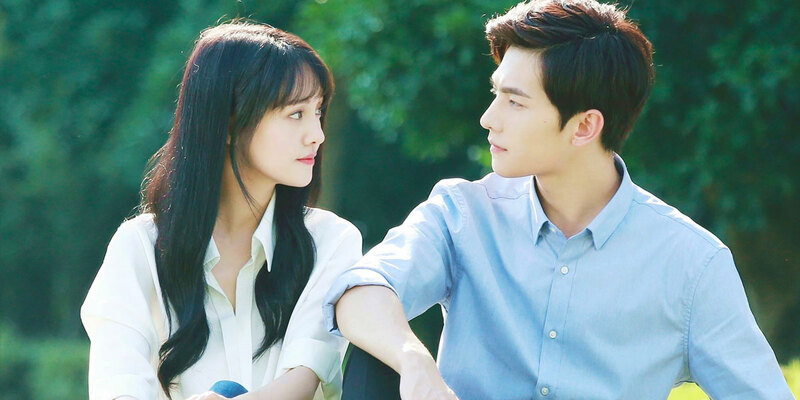 Much like Love O2O, the series subverts several of the expected tropes, and provides a fresh, exciting series that is equal parts delightful, ridiculous, but full of heart. It is one of the most-watched K-dramas on Netflix for a reason. The show follows the titular Bong-soon, a girl born with superhuman strength, a trait that is passed down through the female side of her family. Bong-soon wants to find a partner who matches her characteristics, and falls for a local police officer, Guk-doo. She takes a job as a bodyguard to the heir of a wealthy family, Ahn Min-hyuk. The two clash, as Bong-soon tries to keep him, and the whole neighbourhood safe, especially following a slew of kidnappings. Fast-paced and quick-witted, Strong Girl Bong-soon is a must watch, especially if you like street-level superheroes, mixed with a little bit of romance. Boys Over Flowers is probably one of the most iconic Asian dramas, and is often the first one watched by most new fans — and for good reason. It has seen several versions hit the screen, one as recently as 2018 in China, called Meteor Garden, which is also available on Netflix. Classic is probably the most accurate descriptor of the series, which hits several expected tropes of the genre, but never in a way that feels tired or overwrought. The series follows Jan-di, a girl from a humble background. After she saves a boy from committing suicide, Jan-di gains the attention of F4, a group of wealthy boys who attend the exclusive Shinwa High School. Jan-di is given a scholarship to the school, which alters her entire life, particularly as she gets closer to the boys, eventually falling for Ji-hoo. Things get significantly more complicated from there — especially as Jun-pyo is in love with Jan-di — as the close-knit F4 slowly begin to fall apart. It is well worth the watch, as are the many, many, many other adaptations. A series that edges more into fantasy and comedy territory, Oh My Ghost! also has an interesting romance angle with a supernatural twist. It — like many of the shows on here — can border on the ridiculous, but in the best possible way. I had several laugh-out-loud moments while watching, which is a rare occurrence for me. Oh My Ghost! is centered around Bong-sun, a sous chef at a local restaurant. Bong-sun has very few interests, and is a little bit of a loner. Oh, and thanks to her grandmother, who practices Shamanism, she can see ghosts. Things escalate when Bong-sun is possessed by one of the ghosts, Soon-ae, who died before she could lose her virginity. While in control of Bong-sun’s body, Soon-ae seduces all of the men around her, including Bong-sun’s arrogant boss, Sun-woo. It’s not all hilarity relating to Bong-sun and Soon-ae’s clashing personalities. There’s an interesting investigative side-story, as they try to uncover the mysterious circumstances under which Soon-ae died. So, if you like your comedy and romance mixed in with a little bit of mystery, Oh My Ghost! is the show for you. Much like Boys Over Flowers, Mischievous Kiss is also a staple when it comes to Asian dramas, having seen several adaptations in Japan, Korea, China, and Taiwan. Mischievous Kiss: Love in Tokyo is the most recent of these adaptations, and the second in Japan, but is perhaps the one I enjoyed the most. It follows Kotoko Aihara, a girl who underperforms at school, but is hard working, gentle, and kind. Kotoko has been in love with the most intelligent and popular boy in school, Naoki Irie, ever since he gave a speech at the entrance ceremony. In her third year at school, Kotoko decides to write a love letter to Naoki, but is instantly rejected. She vows to get over him… right up until her house is destroyed by a falling star. Kotoko and her father are taken in by the Irie family, as Kotoko and Naoki continue to clash. What Asian dramas would you recommend on Netflix?